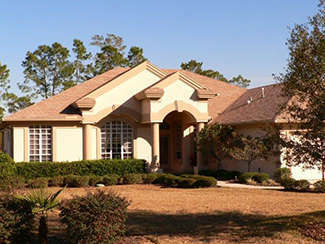 Sugarmill Woods is the single largest planned development in Citrus County Florida. Situated at the southern end of the county in the town of Homosassa, Sugarmill Woods boasts a population of nearly 10,000 people. This natural development was designed as a green-belt community and was one of the first built in the nation to take into consideration the lay of the land and to utilize and maintain the natural surroundings. Every home in Sugarmill Woods backs up to a patch of the original natural vegetation and wildlife that was there at the time the community was developed rather that backing up to another resident’s backyard. 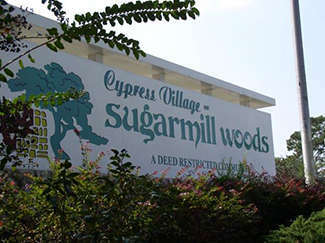 Sugarmill Woods is divided into three neighborhoods: Southern Woods, Oak Village, and Cypress Village. Each village is distinct in its own way, but all maintain a high level of standards. 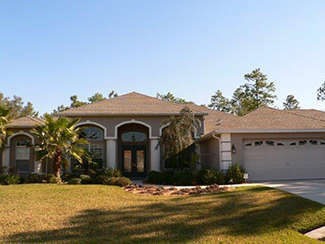 Most of the incredible homes within this community have a golf course view: both the Sugarmill Woods Golf & Country Club course and the Southern Woods Golf & Country Club course offer spectacular views of the fairway and greens. 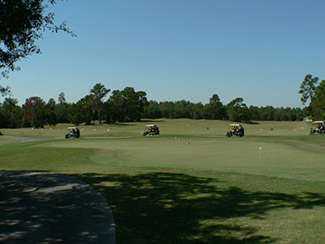 Located in the Southern Woods community is the Southern Woods Golf Club, a privately owned facility, which has its own Club House, grill, restaurant and pro shop, and an 18 hole world-class golf course. 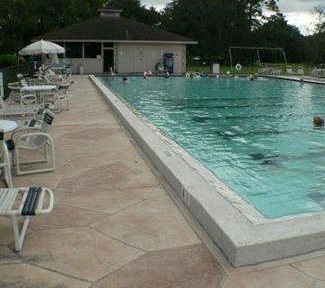 Oak Village Center has a well-equipped fitness center open 24 hours a day for residents, a swimming pool and both clay and grass tennis courts are staffed by professional trainers. 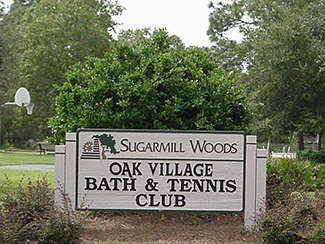 Cypress Village has three nine hole golf courses grouped around Cypress Village Center where the Sugarmill Woods Country Club, a large swimming pool and tennis courts are located. The Club has a full service restaurant as well as a grill and meeting rooms available for private parties. A pro shop is also located on these premises. Other activities are available to residents including many clubs and organization including he Sugarmill Woods Civic Association, Oak Village Sports Complex, Women of Sugarmill Woods, Oak Village Women's Club, Rotary Club of Sugarmill Woods, and the Garden Club & Plant Clinic. An added bonus to living in Sugarmill Woods is that you are only minutes from the Suncoast Parkway which I your express ticked to the metropolitan area of Tampa Bay and all that it has to offer. If you love being surrounded by nature, yet still close to it all, Contact Discount Realty Florida today to learn more about this unique and natural community as well as the homes for sale in Sugarmill Woods Florida!